Super lightweight at 13 lbs and it supports over 400 lbs with no bending! 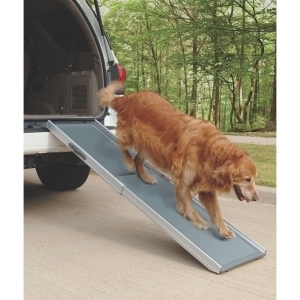 Combination aluminum+plastic design make it the lightest & strongest pet ramp on the market. More compact, so it s easier to use and store. 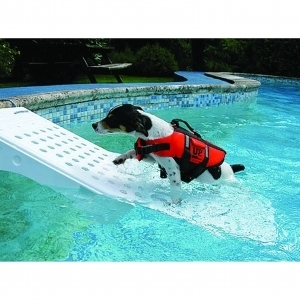 Provides all animals- dogs, cats, ferrets, as well as wild animals or critters- with a way out of their water entrapment. 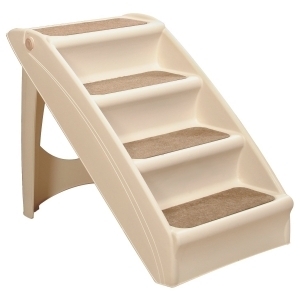 Made of strong, lightweight, blowmolded polyethylene that is chemical and uv resistant. Deck and assembly hardware included, except for deck screw and masonry anchor.